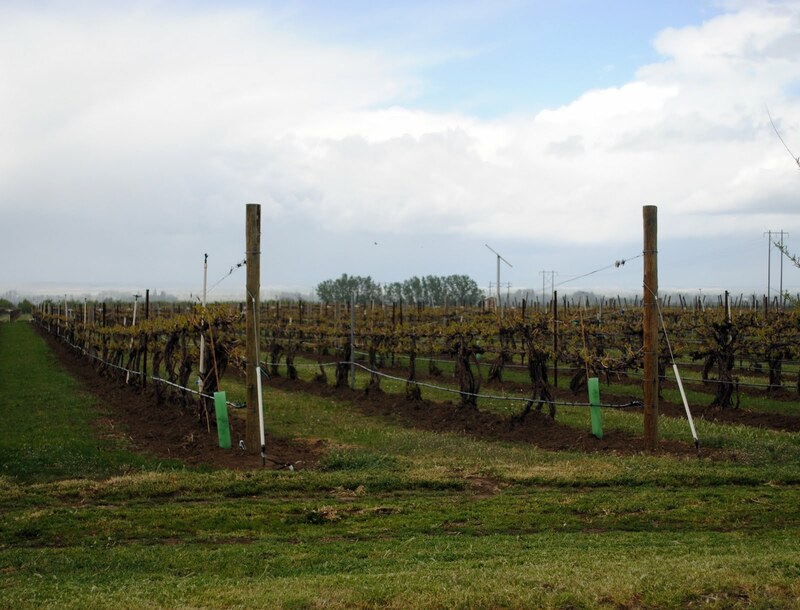 Tero Estates is set apart from its peers in the Walla Walla Valley. 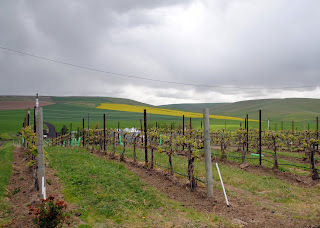 The drive out to the winery, which goes deep into the heart of the ‘occupied area’ of the Walla Walla Valley American Viticultural Area (AVA) south of the Washington border, is somewhat long but incredibly scenic. The twists and turns take one past some of the valley’s most prestigious vineyards – many of them marked, many of them not. With each passing mile the views get more expansive and impressive, and one seems to be transported to another, more peaceful world. Stepping out of the car, I am struck by two things: the breathtaking beauty of the site and the awesome silence. There is barely a sound to be heard, and I am reminded of being out in the mountains instead of deep in the heart of wheat and wine country. This is exactly what one wants a trip to wine country to be – relaxing and transformative. Jan Roskelly of Tero comes to greet me followed by numerous cats and dogs, which patrol the grounds. Jan, her husband Doug, and their partner Mike Tembreull, purchased Windrow Vineyards, Tero’s estate vineyard, in June of 2007. The winery’s name is a combination of the names TEmbreull and ROskelly. Windrow Vineyards’ first plantings date back to the early days of Walla Walla Valley’s modern wine history. Dr. Herbert Hendricks put in the first vines at what was then Seven Hills Vineyard in 1980 and 1981. Fellow physician James McClellan (Casey McClellan's father) partnered with Hendricks in 1983, and additional acreage was planted in the ensuing years. 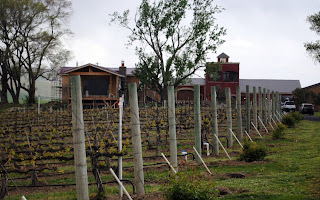 Seven Hills Vineyard was subsequently split and sold in the mid nineties with Scott Hendricks retaining a portion of the vineyard that he renamed Windrow. This included a small amount of the 1980 plantings and substantial plantings from 1986. The vineyard was later expanded, including the addition of the colorfully named ‘Varsity Block,’ a Cabernet Sauvignon block planted by the Mac-Hi basketball team in 1998. The list of wineries that purchased fruit from the original Seven Hills Vineyard – some of whom have subsequently purchased fruit from Windrow – is a who’s who of the valley’s history, including Leonetti Cellar (which used Windrow Cabernet up until 2000), L’Ecole (which made a Windrow Vineyard designate in 1995), and Walla Walla Vintners. More recently, wineries such as Glencorrie, Bunchgrass, and Cooper Wine Company in addition to numerous others have also purchased fruit from Windrow. Before moving to the Walla Walla Valley, the Roskellys lived for twenty-eight years in Woodinville, where Doug worked in the construction industry. Roskelly, a burly man with a thick, bushy beard, jokingly refers to the winery and vineyard as a "retirement project." While many often think of owning a vineyard and a winery as romantic, the reality is often far from it. The Roskellys have been living in a trailer at the vineyard for the last fifteen-plus months while the winery buildings are finished. Tero’s building plans include a winery facility and office (mostly finished), domicile (somewhat finished), and tasting room (not yet started). Roskelly designed the iconic winery building, which features a spiral staircase leading up to a patio with commanding views of the surrounding vineyard. Part of the original structure was an equipment shed where the first discussions about the Walla Walla Valley AVA were said to have taken place. Roskelly incorporated this shed into the new structure to preserve its historical significance. 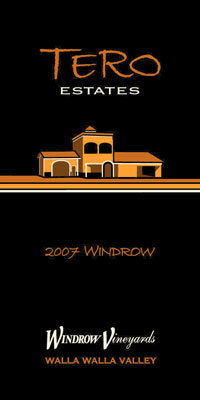 In terms of the vineyard, the new owners have tried to keep some things the same and improve on others. They have maintained the same vineyard team, including the vineyard manager, Esteban Albarran, who has worked at the property for sixteen years. They put in drip irrigation and planted additional acres of vines. 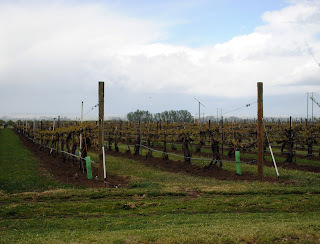 The plantings include Charbono, which the Roskellys believe is among the first in the Walla Walla Valley. Overall, Windrow now has 25 acres under cultivation. Doug Roskelly is the winemaker for Tero with Ashley Trout of Flying Trout Wines working as his assistant as of late 2009 (look for a subsequent post on the Flying Trout Wines). Roskelly started out making garage wine in Woodinville. He says, “When I got to two barrels I said, time to make a serious decision here.” Roskelly heard that Windrow Vineyard was for sale and made a serious decision. Stylistically, Roskelly likes big, but balanced, wines, saying, “I don’t like wimpy wines personally.” Tero Estates’ initial wines – which are not wimpy but are also far from colossal - will be released in October. The wines sampled below are an impressive debut. 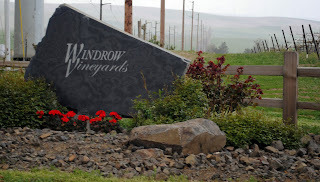 They include a Windrow Vineyard Cabernet Franc; a Walla Walla Valley Cabernet Sauvignon; and a wine called simply Windrow. While much work remains to be done at the winery and vineyard - on the day I visited Jan Roskelly gleefully pointed out the recently arrived but not yet installed bathroom fixtures for the house - Tero Estates promises to continue and expand upon Windrow's long history. Tero Estates made 600 cases in its first vintage. 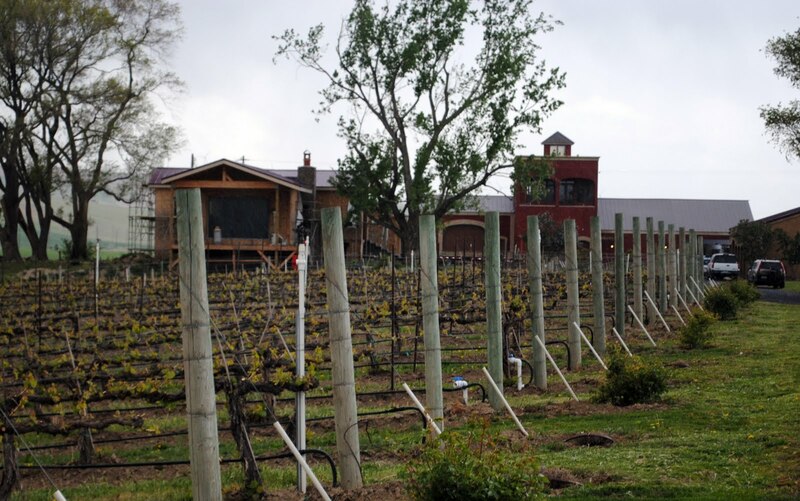 The winery plans to grow to 3,200 cases over a ten-year period. Rating: * (Excellent) Tea leaves, chocolate, pepper, and herbal notes on a pleasing, moderately aromatic nose. A round, plush, silky palate, beautifully stitched together with rich fruit accented by chocolate flavors. 100% Cabernet Franc. 14.5% alcohol. 68 cases produced. Rating: * (Excellent) An aromatic wine with rich black cherry aromas, milk chocolate, tobacco leaf, and pepper. The palate is marked by rich, tightly wound up fruit wrapped in a silky layer of oak. 70% Cabernet Sauvignon, 14% Merlot, 10% Cabernet Franc, and 6% Malbec. 14.1% alcohol. 108 cases produced. Rating: * (Excellent) Very pretty, compelling aromatics of herbal notes, black cherry, and light chocolate. Deliciously rich, chewy fruit on the palate. 83% Cabernet Sauvignon, 12% Merlot, 5% Petit Verdot. Windrow, Dwelley, LaTour, Les Collines, and Spofford Station vineyards. 14.2% alcohol. 240 cases produced. I just love visiting Tero Estates. The wines, the people and the view is always amazing. Thanks for shedding some light on this wonderful new place, it is definetly worth the drive. You said it perfectly, Tero Estates is the essence of Walla Walla wine country (Even if it is in MF!). I love all their wines!